Nautical Boat Club at Mount Pleasant is Charleston’s only Boating Country Club®. 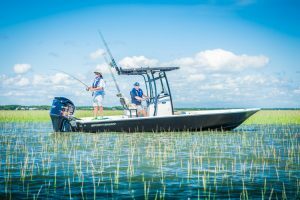 Located just north of Charleston and east of Daniel Island at the beautiful new Wando River Marina, we offer a hassle-free alternative to the financial and time commitments of traditional boat ownership in South Carolina’s coastal low-country. Our members enjoy year-round, UNLIMITED use of our fleet of shiny new watercraft and complimentary water toys – perfect for family fun, boating on the river, in the bay, or along the coast. 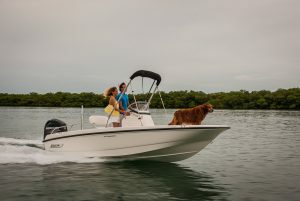 We take care of all of the details so that you can enjoy the best part of boating: being out on the water and making memories with your family and friends! As a member of Nautical Boat Club at Mount Pleasant, you’ll enjoy easy boating access to the four rivers flowing into Charleston Harbor – the Wando, Cooper, Ashley, and Stono – as well as Shem Creek and the Intercoastal Waterway. 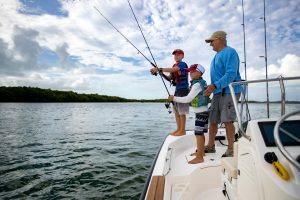 You’ll have private access to a diverse and fully outfitted fleet of sleek new boats – whether you’re going for an active afternoon of tubing and water sports, a peaceful fishing excursion, or a relaxing cruise aboard one of our luxurious pontoons. We are the only boat club in the U.S. that buys only brand-new boats every few years, and continues to add more boats and water toys as our membership grows. You’ll also enjoy complimentary use of all of our water toys, full insurance coverage, and dockside valet service, as well as reciprocal boating privileges at other Nautical Boat Club locations – including Lake Murray Boat Club, located just two hours away in Columbia, SC. And you’ll get it all at one-third the cost of boat ownership! Located just off Highway 41 and across from the new Shipyard Park, Wando River Marina is the newest marina along the Carolina coast, and is conveniently close to Mount Pleasant, Wando, Daniel Island, and North Charleston. Members enjoy free parking just steps from the docks, a drop-off area for dock carts and equipment, a full-service fueling station, a fully-loaded ship store, and clean, private bathrooms. Relax before or after boating at the marina’s picnic tables or Adirondack chairs, or get a quick bite or brew at the Wando River Grill. All of the fun, none of the hassle! Nautical Boat Club is fun, easy and affordable. Forget about the mad rush at the boat ramp, waiting for your boat at a dry stack, or maintaining your boat in a wet slip … come feel the freedom and the fun! Don’t Buy a Boat® – join Nautical Boat Club today! !